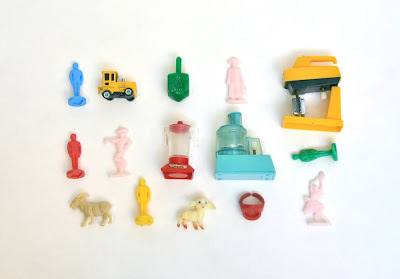 Tiny vintage plastic and metal toys. Very cute. Love the kitchen appliances! Ooooo! So jealous about the kitchen appliances! I hate to say this, but I remember these! Guess I'm vintage, too! !